Aloe vera is a very ornamental indoor plant, easy to care for and not demanding at any time during the year. Its leaves are original and elegant, and it is also used for its medicinal properties, especially in the field of cosmetics. Where should your aloe vera be placed? This very resilient plant, that copes extremely well to heat, will thrive both outdoors in summer and indoors over the winter. Aloe vera requires a good deal of light but doesn’t appreciate direct sunlight which tends to dehydrate the plant. Too much sunlight could quickly dry the leaves and turn them permanently yellow. Watering must be moderate but regular, more or less once a week. Best is to water when the surface of the soil has dried out. If tap water in your area is hard, try to find any available spring water, or collect rainwater. Lukewarm water is better than cold water. 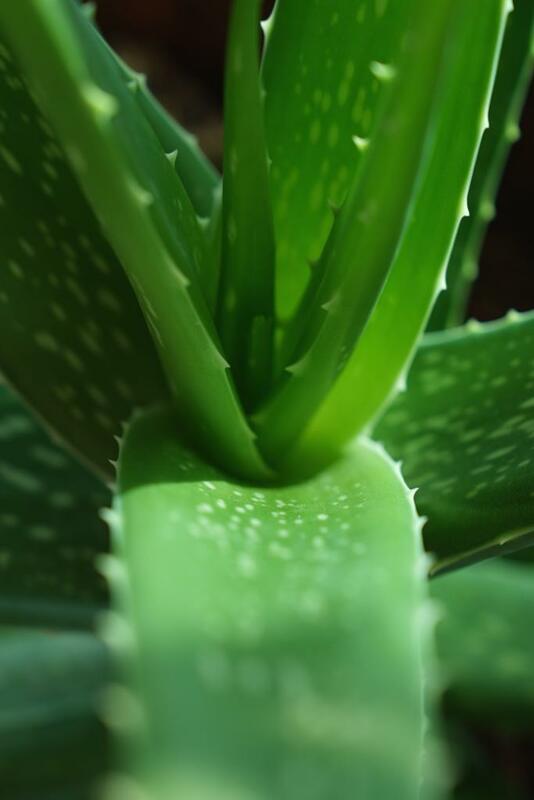 The temperature gap could dramatically stress your aloe vera. This step is mandatory and must be repeated every 2 or 3 years to a pot slightly larger than the previous one. 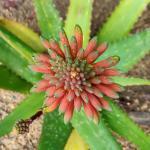 Once every 3 years at most, repot your Aloe vera in spring after the blooming. Upon repotting, choose a pot that is slightly wider across than the previous pot, but not too large. Check that the bottom of the pot lets water drain through holes. No need to add fertilizer to your Aloe vera. Aloe vera gel presents undeniable therapeutic virtues. 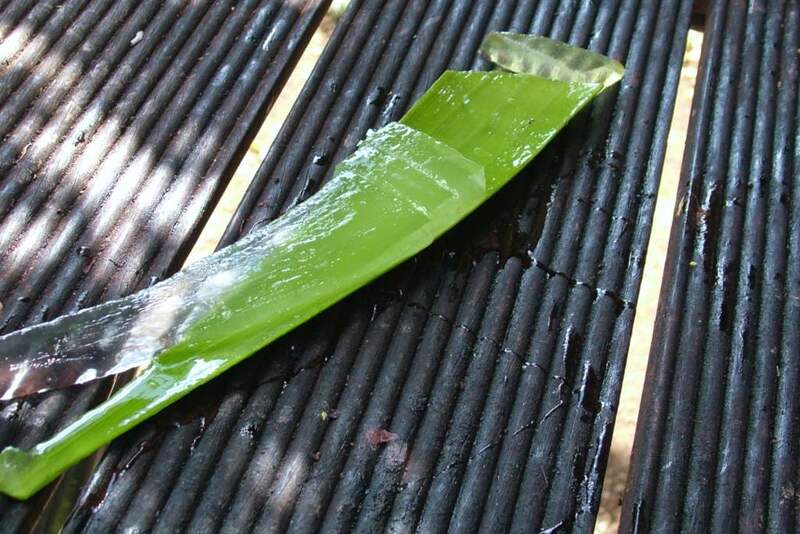 To collect this gel, simply cut a leaf off at the base and chop it into pieces about an inch (a couple centimeters) wide. Slice these pieces lengthwise, and scrape the gel off. 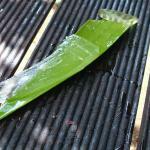 Aloe vera gel can be put to use in a great many ways. If you’re good with the blade, you can also try peeling the skin off in one go! 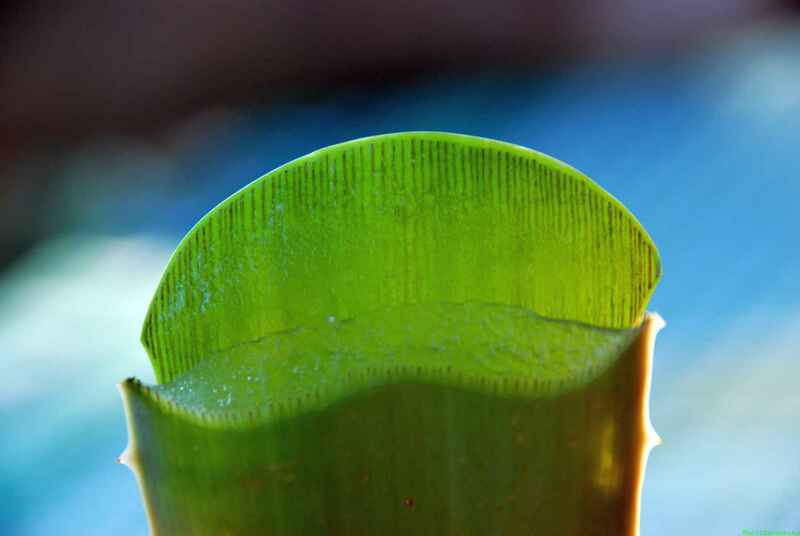 Aloe vera gel contains nutrients that increase survival of cuttings. It acts as a natural rooting hormone. Simply collect fresh gel and rub it around the base of the cutting. It’s also possible to wrap thin slices of the gel around the base. It helps regulate moisture, like a natural hydrogel. 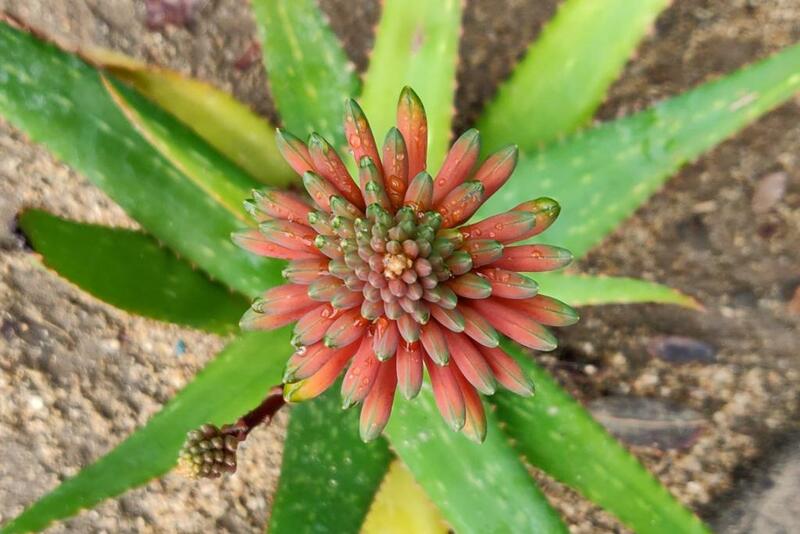 It’s tricky to get your aloe vera to flower when you aren’t in tropical climates. It may take years for the plant to feel comfortable enough to send up a floral scape, but when it does, it’ll be well worth the wait! Plants need approximately 4-5 years to mature from the moment they were separated from the mother plant as pups. Acclimatize your aloe vera to a spot that ensures it gets maximum direct sunlight. For indoor plants, ensure they don’t go dry with regular watering and providing a moist atmosphere around it. Separate pups from the mother plant rather early so that sap and nutrients aren’t directed to non-flowering propagation. Pups are the side shoots that appear on a healthy plant. Ensure your soil has enough nutrients by repotting every 2-3 years and eventually adding light fertilizer. Topdress on non-repotting years to replenish soil that has lost nutrients due to being washed out upon watering. Following these steps will ensure your Aloe vera plant will have the best chances of flowering!